Are You a Craft Beer Snob? Ep. 175 | Beer America TV - Craft Beer in Motion! 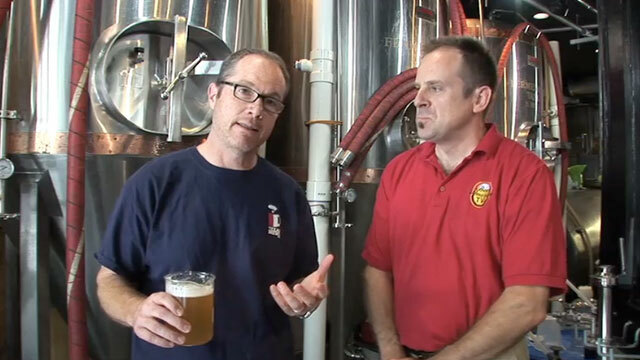 This week on Beer America TV, we tackle an important topic: Are you a Craft Beer snob? Admit it, if you love American Craft beer, don’t you sometimes look down on people that drink one of those “other” beers? We think that’s a bad approach to educating people about the other choices available to them – remember, we are only 6%, so there is still much work to do, and a good attitude and a little education is a great place to start! A note to the beer elite: the beer industry does not revolve around the downright silly term “craft beer”. Rather ridiculous wouldn’t you say, when someone praises the virtues of Goose Island Bourbon County Stout, while simultaneously damning Budweiser, when in fact, the coins all go back to the same corporation? Perhaps some language that does have meaning, is in order: multinational brewery conglomerate, regional brewery, contract brewery, local brewery, brew-pub. “Pure beer” is, the way I understand it, beer brewed with only the classic four ingredients. But there are thousands of tasty examples that defy that tradition. Maybe the people who seek a sense of superiority through their beer selections are absolutely shocked that the light lager crowd is simply not interested in discovering beer, that for them, simply tastes funny. Enjoy your beer, whatever recipe it is, and let others do the same. Cheers! A good discussion. I think the main point was made 1/2 way through the conversation – “we like what we like”. I drink “macros” most of the time, but the fall has always been the time of year when I start drinking other stuff. Don’t know much about the brewing process and don’t really care – just know what I like and I’m always interested to try new stuff. Sipping a Flying Dog “Old Scratch” Amber Lager at the moment. The remainder of the dwindling 6-pack resides in the basement fridge, co-mingled with what’s left of an 18-pack of PBR and some Coors Banquet beer….Horrors! Keep it up Paul – you’re looking well. Right on Chris! Like I said, on a hot summer day I like an ice cold Miller High Life…watery, low abv, and the taste isn’t bad if it’s cold. Thanks for watching and commenting, we really do appreciate it!! I don’t drink macro. I encourage macro drinkers not to drink macro. I don’t think I’m a snob. You don’t have to drink extreme beer, but don’t try to tell me I’m not allowed to enjoy extreme beer because I might offend people that drink lighter beer. BA-User-8674, I think you hit it on the head when you said you “encourage” macro drinkers to drink something different or not to drink macro. Our point was that people should never make them feel like their choice in beer is ever wrong, but instead, offer an alternative (a crossover type beer) to intruduce them to craft – in other words, make craft approachable rather then snobbish. I was craving a beer really bad one day but all that was in the house was a can of Budweiser my roommates friend left. I dropped all snobbery and just wanted to enjoy a cold beer for all it was worth and forget whatever negative notions I had with it. I didn’t finish it, I would rather go without. It was simply not good or enjoyable to me. I think as you learn more and pay closer attention to anything your standards become higher for it. You just get into the habit of critiquing becasue its fun to put your knowledge and senses to the test. I find many people dont like beer taste or alcohol taste at all and are looking for the least offensive way to enjoy bevys with other people. I dont think its selling out to create a completely clean crisp flavorless beer with no aftertaste, its just another style. Really great points here! Knowledge is certainly power in a School House Rock kind of way, and it’s hard to drink bad beer once you’ve educated your palate to what beer should really taste like. My sister in law had a fridge full of bud lite lime beer and I simply couldn’t do it because I know I don’t care for it. A lot of people DO love it, so I’d take the opportunity to find out why, and take that descriptione to a craft beer that might have fruit flavor or even a sour.